DIRIS | Embedded World 2019 - DIRIS powered by X-SPEX – exhibitor at the Embedded World exhibition 2019 in Nuremberg! DIRIS powered by X-SPEX – exhibitor at the Embedded World exhibition 2019 in Nuremberg! Optimize video capabilities and reliability of your product with reduced complexity! The company X-SPEX is developer and manufacuturer of the “DIRIS“ OEM video system. This is a collection of components for recording, processing, transmitting/streaming, and playing of video and audio for industrial grade applications. Control of DIRIS system can be performed either by buttons+LEDs and/or serial interface and/or network (incl. WIFI and/or UMTS/LTE). DIRIS systems for OEM customers are easy to manage and easy to integrate into products and applications. Configurations options of the DIRIS B02-Boards comprise perfectly matched interfaces for product integration. Typical individual components are NOT needed, like display controller und text generator. Du to the small size of just 100 mm * 80 mm the DIRIS B02-Board ist well suited for integration into small products. Application areas are industrial, medical, security, traffic applications and others. 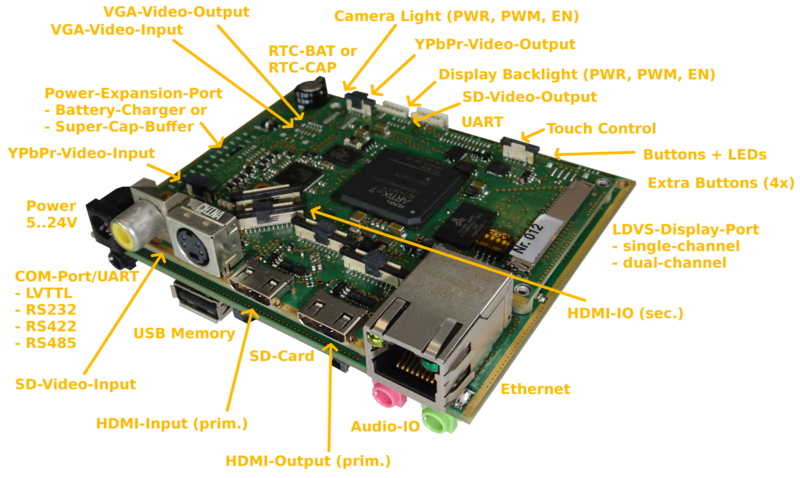 The DIRIS B02-Board HAL is a versatile video recorder board with digital video interfaces. It comprises multiple interface options and provides all general features of DIRIS products documented part of the company information. 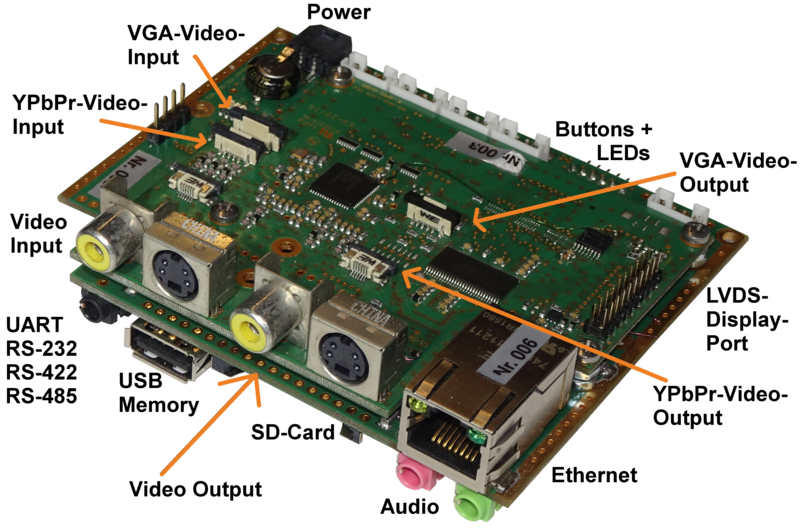 The DIRIS B02-Board AL is a versatile video recorder board with analog video interfaces. Small and robust camera module, that can be detached up to 10 m from the central unit by a thin cable. IO-Adapters connect internal pin headers or ZIF/FPC sockets of DIRIS-Boards to the external world providing standard sockets. All cables needed for those connections are available as accessories too. Special variants on customers request, e.g. 50 cm long connection for SD cards.